AQUILA’s exciting range of shoes! From custom design to shoes for wide feet gentlemen, please feel free to contact us. A returning customer turned up at our factory in his blue trousers and white shirt, and this time he’s going home with an entire business attire complete with a pair of cap toe oxford shoes and matching belt. Even the buckle (model 30191) was chosen by himself. Please feel free to contact us to have a pair of shoes and matching belt customized for yourself. Here at Aquila, we cater to a variety of customers, from customers with exotic tastes to customers with wide feet. The length and width of our customers are taken. AQUILA suede loafers and matching belt set. All customers are entitled to 30% discount off the matching belt’s price when they purchase a pair of shoes from us. 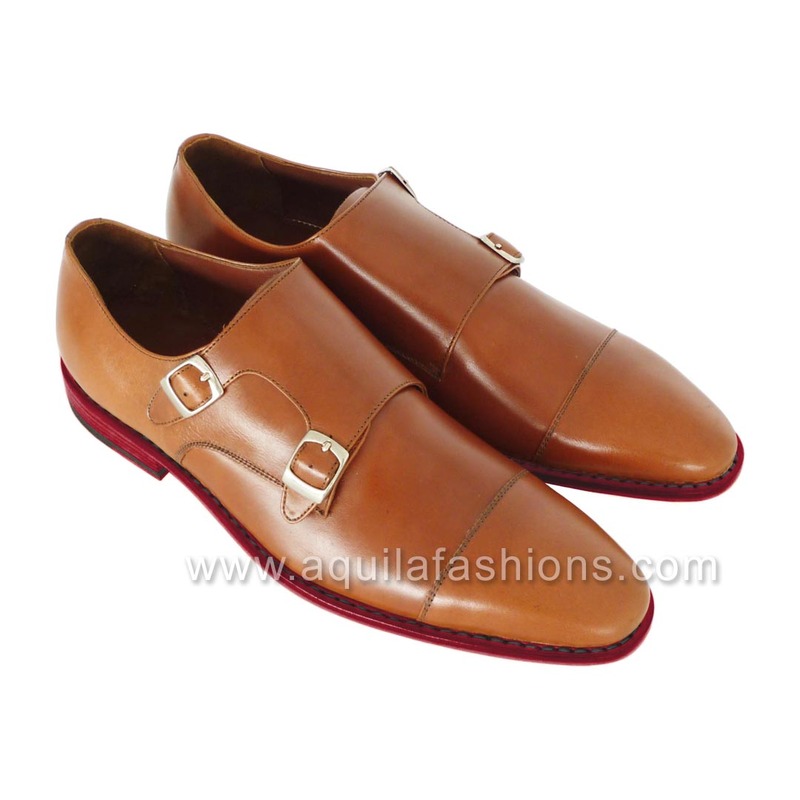 Wide feet customers looking to customize leather work shoes for broad feet please do not hesitate to contact AQUILA. Gentlemen with big feet can expect to have measurements of their feet taken. Please see our process in detail here. Photo sent to us by a proud owner of a pair of Aquila custom made shoes complete with patina finish. Our only regret is that while we were able to source for this colour of shoes for our customer, our leather supplier didn’t have any leather that was long enough for a belt. We could have done a three part surcingle belt sewing three short pieces of leather together for our customer, but he decided not to go with it because a surcingle belt is not his style. Proud owner of a beautiful pair of Aquila custom made reddish brown cap toe oxford shoes, but wait… it doesn’t end there. Our custom made shoes come as a complete package with a belt that is made of the exact same leather as our shoes. That is, both shoes and belt come from the same sheet of leather! 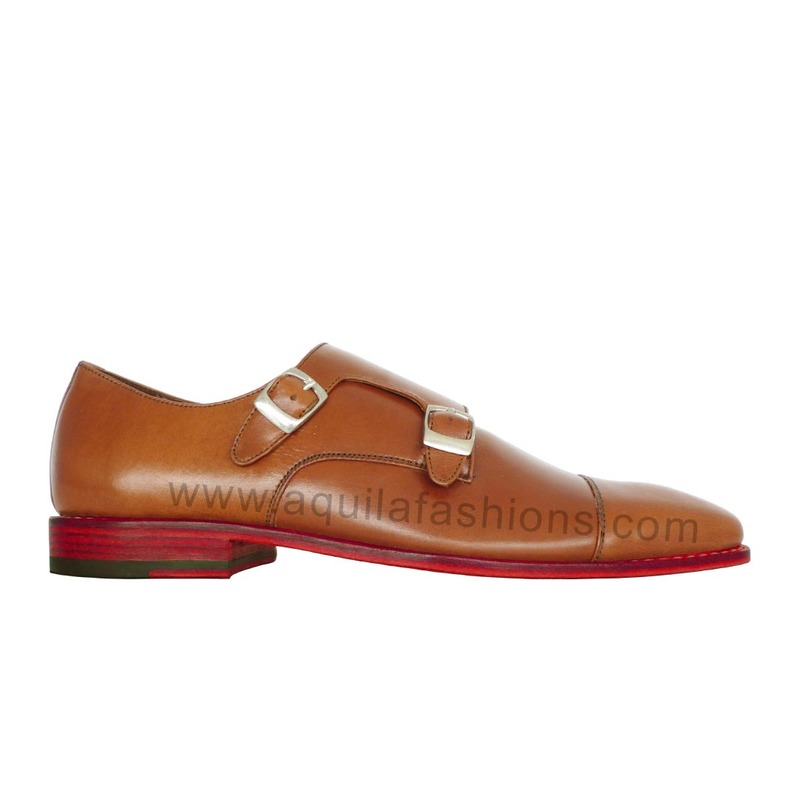 Customers can purchase Aquila double monkstrap shoes in their basic designs with basic colours, or they can customize their shoes with us. For example, customers can have two tones or three tones within the same pair of shoes. Customers can also choose to have red lining, red insoles and/or red outsoles for their shoes. Enjoy our range of custom leather shoes below! We look forward to receiving you at our Singapore showroom! We have had so many customers come to us to have a belt made in the exact same colour as shoes bought from elsewhere. Unfortunately, we can’t help them in many cases because we don’t have the leather that were used to make their shoes. Often, our customers settle for less with only a close match. AQUILA offers 30% discount off a matching belt when you purchase a pair of Aquila custom made shoes. The belt is made from the exact same sheet of leather which the shoes are made from, hence it is a perfectly matching set!